Charts examples carry different information about things, usually in the form of images, graphs, or symbols. Because charts use visual representations, information presented can be interpreted and understood easily. This is probably the reason why charts are used widely by a lot of people. A flowchart is a type of chart typically used to present the flow of processes or events in order. Basically, flowcharts use boxes to enclose the different processes and indicate the order or flow of these processes using arrows. sample Flowcharts are usually used to represent step by step processes of doing things. 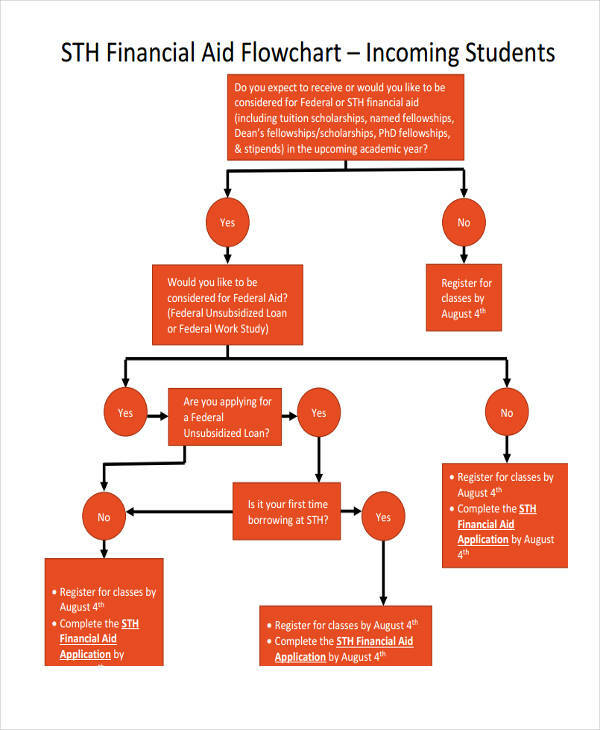 What Is a Student Flowchart? 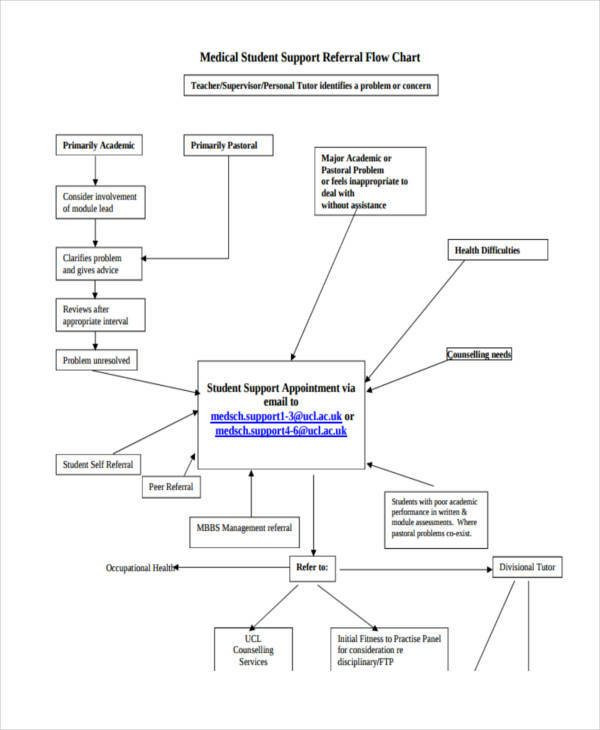 A student flowchart, as its name suggests, is a flowchart intended for student use. 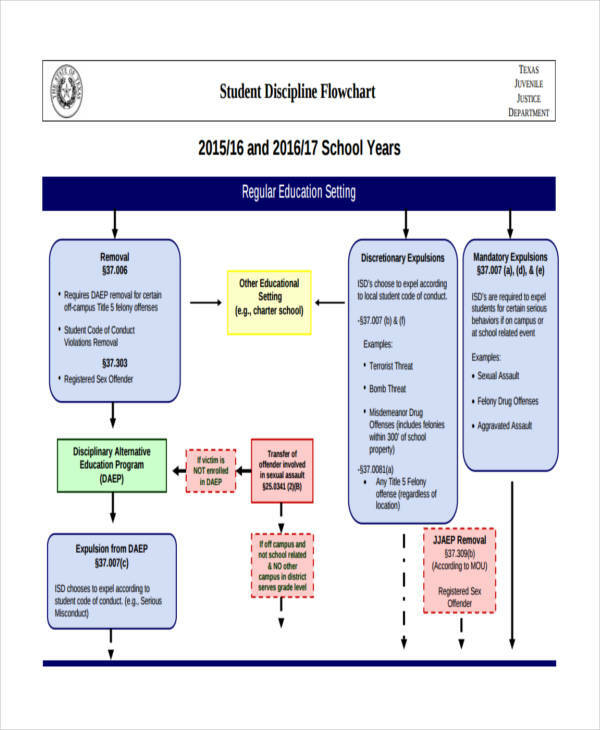 Student flowcharts basically provide information on processes of things or events to students. 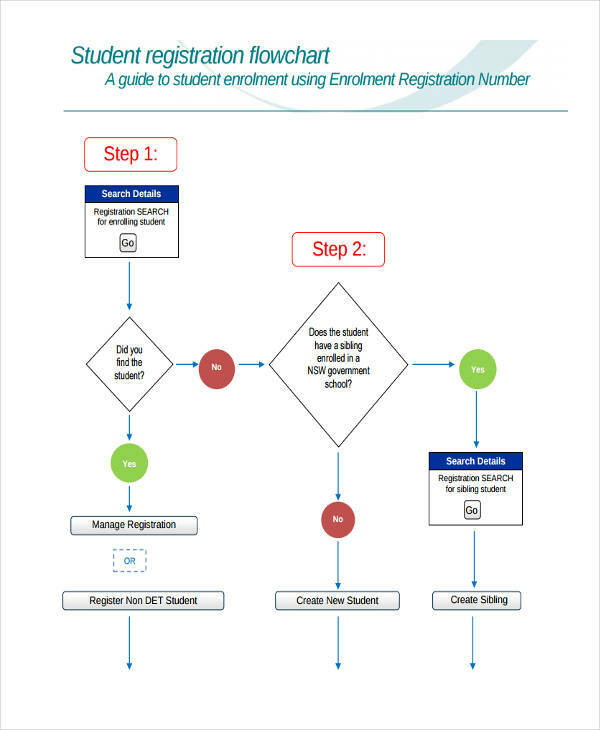 For example, in the process of applying for a school admission, a student can be presented with a flow chart containing the necessary steps he/she needs to take in applying. 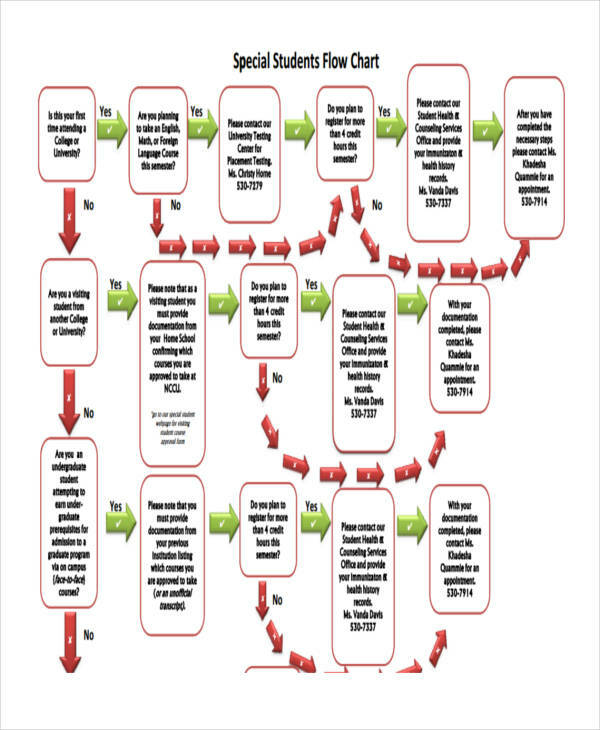 A student flowchart can be used as a guide by students in many ways. 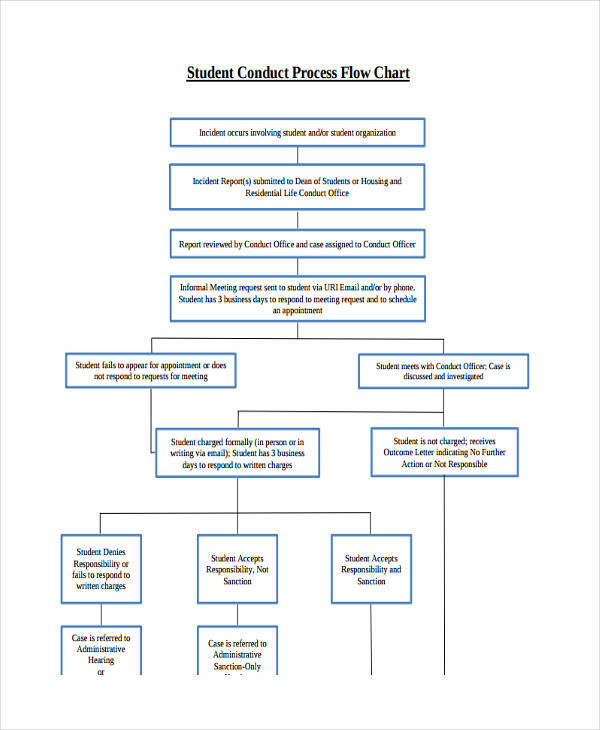 Student flow charts provide a very detailed way of presenting various processes which can be easily followed by students. For example, in a science experiment, a flowchart may be used in order to represent the step-by-step process of doing things. Try to imagine doing such experiment with its procedures not presented in proper order: aside from suffering from a failed experiment, students may also obtain injuries, or damage some materials and equipment they used for such experiment. So aside from providing an orderly way of doing things, student basic flowcharts, at times, also help in preventing accidents from occurring. 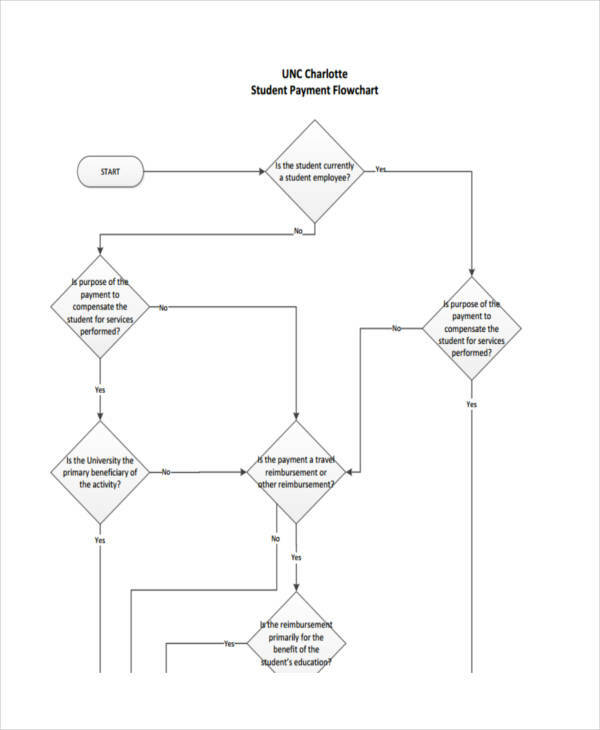 Determine what process you need to create a flowchart for. You can create flow charts from the simplest things to the most complicated ones. Identify the steps or processes to be followed. 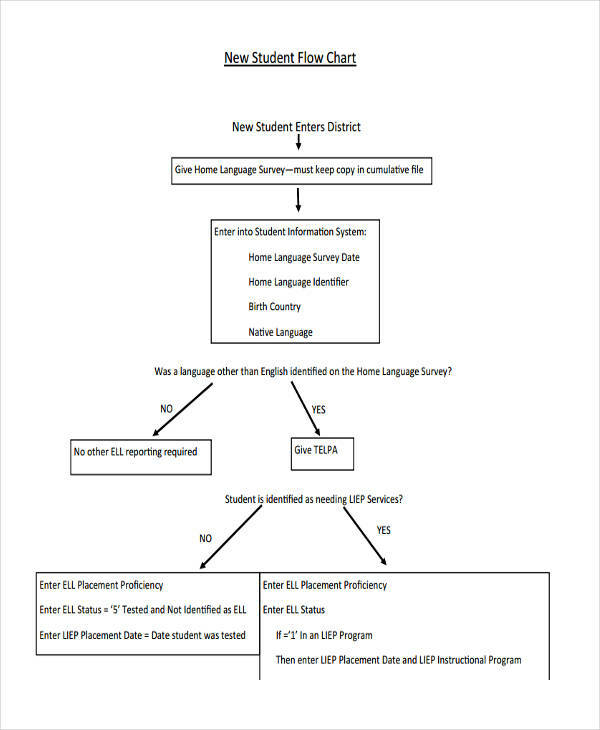 You need to write the steps clearly for students to understand. Simplify words and instructions, and if possible, do not make them too long. Be creative but make it simple. Creating a flowchart needs creativity to make it pleasing to the eyes of your readers. At the same time, do not overdo your creativity, and make it appear simple. Do not overcrowd your flowchart with too many symbols or images. You might want to leave some spaces empty to keep your flowchart clean and organized. Too much symbols might be too much for your readers’ eyes, so be sure to leave some empty spaces. 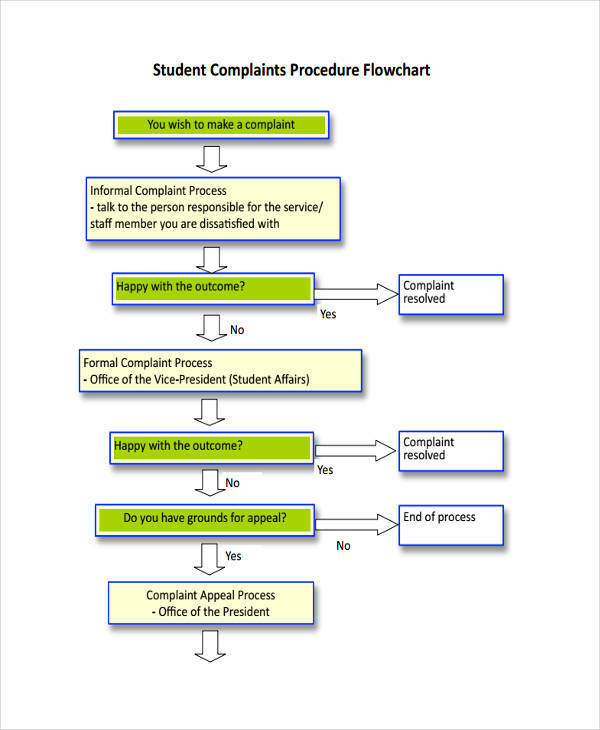 Review and improve your student flow chart. I’m sure there would still be room for improvement there, so keep on reviewing your flow chart to determine what you need to improve.